The life of an Android developer is not easy; every day there is a demand to create something out of the box for the specific set of users. Thus, the field of Android application development holds a lot of scope for the beginners. If you want to be an aspiring Android app developer, you just require the right tools and guidance. It is quiet easy for the beginners, and if you have an amazing idea for some app, then it becomes fun too. The field of mobile applications is expanding day by day, and Android has proven to be the perfect platform for developing some mind numbing applications. Google has released an open source Android platform so that all the freelancers and developers can develop some best Android applications for the targeted audience. Moreover, there are many companies that provide Android app development services to the customers addressing to the rapidly changing technology and business needs. If you want to turn your idea into a reality then, Android app development can help you build your desired application for Android platform. Android is the mostly used platform now days, and if you want to try your luck, we will provide you with some of the basic tips on how to start Android app development. Java is the basic programming language for Android and it has refined all the latest libraries of Java as libraries of Android according to its usage for the mobile platform. Thus, for starters, you are required to know the basics of java programming language to be able to create the applications. The Android app development services are flexible as java allows the developer to modify and make any necessary changes if needed. Therefore, the basics of Java include packages, objects and classes, concurrency, inheritance and interfaces and more. You can start by exploring some great books written by great authors to understand the fundamentals of Java programming. The integrated development environment is an environment used for creating the Android applications. An Android app development company for providing Android app development services uses the free environment and tools. 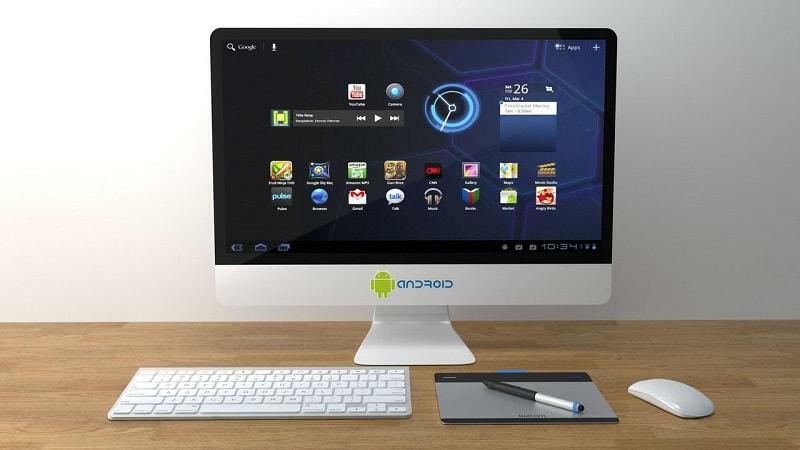 Currently, Android Studio is used by numerous app developers for developing Android applications. However, you can also use Eclipse, but it is older, and you may find its user interface a little intriguing. We recommend you to go for Android Studio if you are a beginner as it offers same functionalities and tools in a single entity and also, for testing the application, you can use its inbuilt emulators. We all know that the number of Android users is more than iOS or any other platform. Thus, you need to target a specific audience for the type of application you are going to build. The Android community is growing day by day, and the Android app development company knows the exact purpose building the application, that is; to cater the need of users. With the growing smartphone market, there are thousands of applications developed daily, and it has provided an opportunity for the businesses and app entrepreneurs to make their services reach the target audience. You have to keep one thing in mind that Android is a fragmented market and therefore, it comes with different devices and operating system versions. Thus, every application developed under the banner of Android has to go through more testing and maintenance which may also cost you a bit. Smartphones, tablets and even phablets sport Android operating system, and the Android app development company develops applications keeping in mind the size and resolution of different devices. Therefore, if you think the application you are building has a certain scope, then you should keep the fragmentation in mind while developing the application. The user interface of Android is based on XML (Extensible Markup Language), and thus, it becomes necessary that you possess certain knowledge in XML. For every beginner, XML is a cerebral pain when they start the developing process. However, there are certain tools that can assist you in getting the perfect user interface. Action bar generators like Sherlock or Johannilsson on Github can be very useful for the beginners. On the other hand, there are certain visual editing tools that are incomplete or buggy, and you have to be aware of that before using it. I don’t think that a beginner like you must know the basics of designing. But, your application must consist of an attractive interface so that it doesn’t look dull and unattractive. So, either you hire a designer or become one yourself. Online, you can find various platforms from which you can add common GUI elements to your application. Also, you must be aware of all the Android Design guidelines before starting the designing process. When you build an app, it must be asynchronous and multi-threading while processing and Android specific solutions can help you yield better performance from your application. There will arise a few tools claiming to ease the development of the application. It is not that they are all fake and bug-filled; the thing is that you have to test it before using it. For this, you can develop a simple application and deploy the tool on it. Thank you for the useful information about developing Android apps. Now I know a bit more about how to develop an Android app. Awesome post, your post is really informative for me and when I read your post then I appreciate your post. Thanks for sharing your post. It’s a great information for all beginners to get more knowledge about android app development. Whoah, this weblog is magnificent I like reading your posts. Stay up the good work!